This year we start with simple words: THANK YOU! 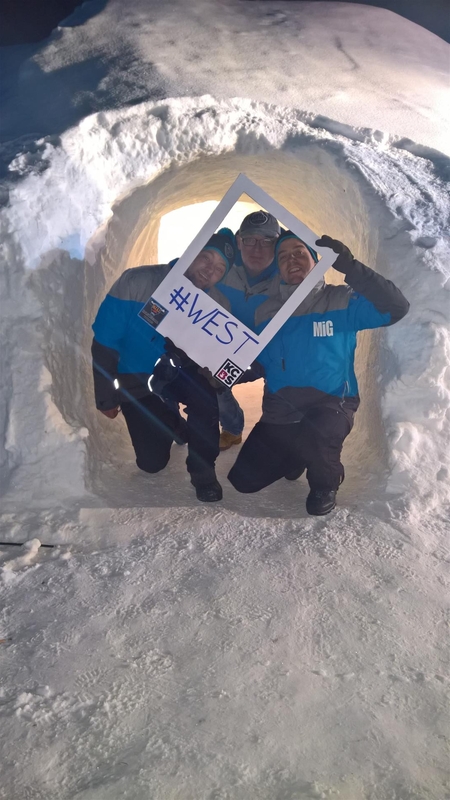 2017th Edition was full of highlights: over 2000 visitors, 30 teams, 40 judges, live cooking shows, Snowlicious, Igloos, a magic Winter Wonderland AND: 2.800,18 € for DEBRA! The audience and the teams appreciate our idea to support the butterfly kids during the competition. 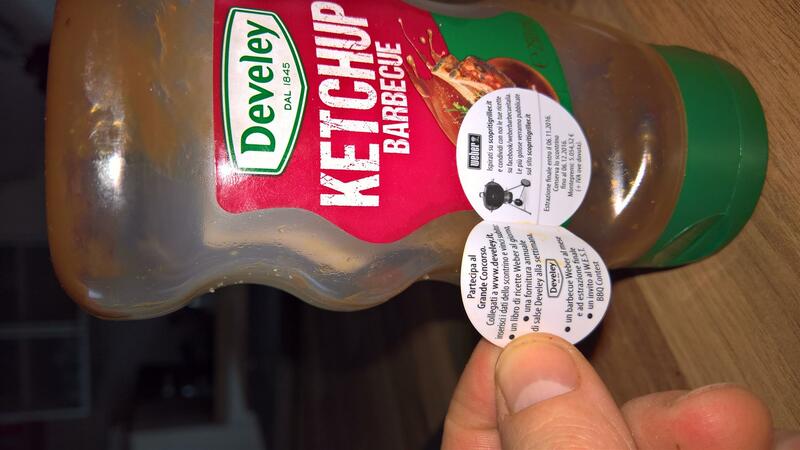 We got a call on Monday from Hannes and Heike (BBQ Longhorn Ranch Hands) and they told us that they donate the whole price money 1.542 Euro to DEBRA! 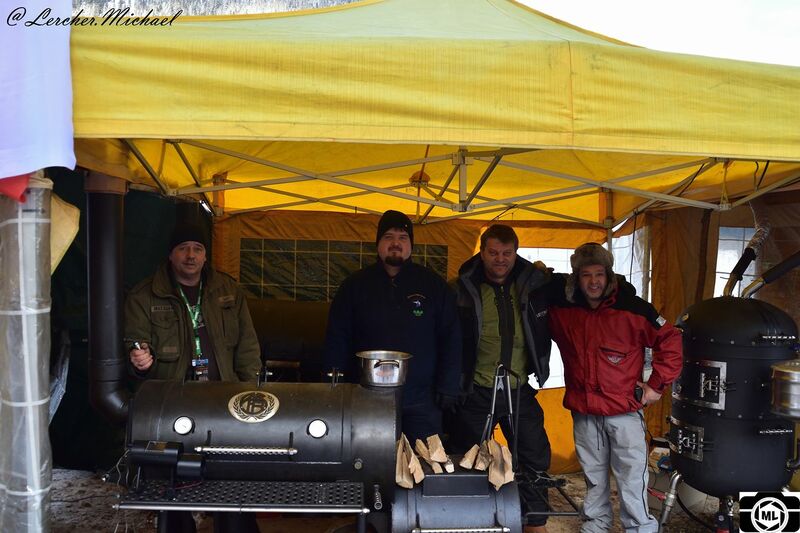 Let’s start with a video from Jörn Rochow – BBQ aus Rheinhessen. After W.E.S.T. is before W.E.S.T. We start planning in spring 2016. We got a lot of feedback from teams, judges and visitors that has to be analyzed and implemented. 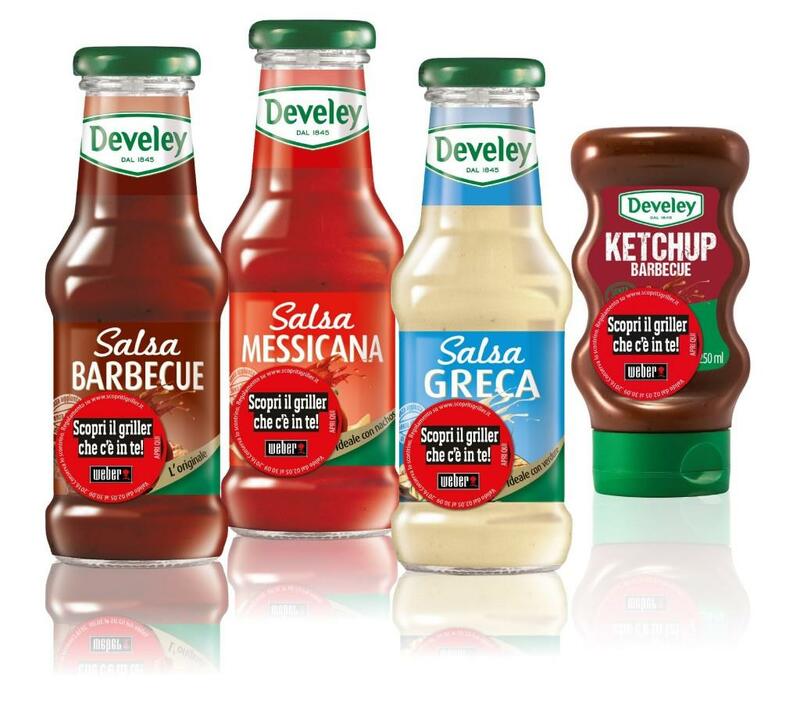 Then we found out that Weber and Develey started a contest on the sauces from Develey. First Prize was a weekend on W.E.S.T. 2017! We opened the registration on 26/07/2016 and we was full in couple of days. 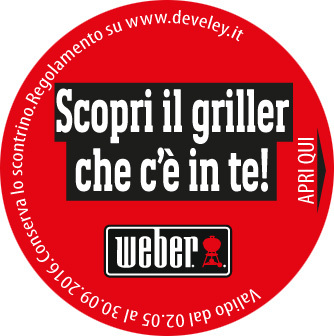 Many teams get on the waitinglist and this was a sign, that the BBQ-Season starts January 1st and finish December 31. 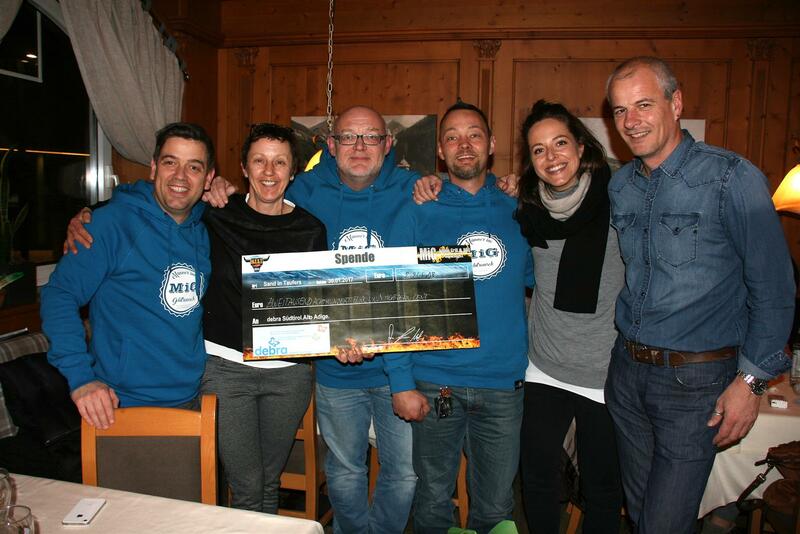 Teams from several European Countries were on the list and we are really proud that two South Tyrolean Teams took part on this edition: BBQ Freunde Südtirol and Mermaid Killers. 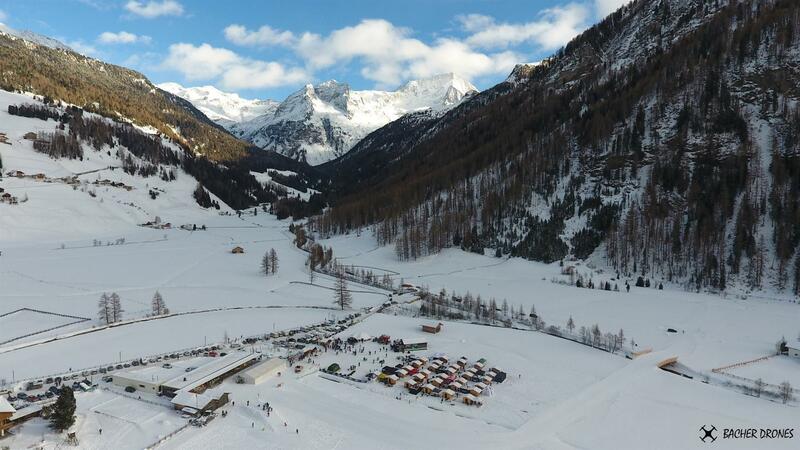 Again we decide to put on the sheds to give the teams a protection from wind and snow. This year we get closer to each other, more like a Christmas Market. A huge Thank you to Wieser and the Manitour-Driver Heinold for the support. 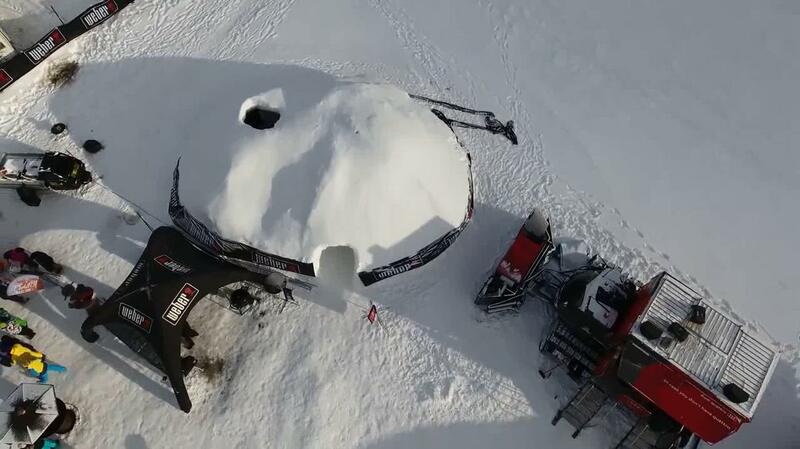 If you remember, last year we build an igloo for the kids. This year we made it bigger. Snow Groomer, two snowblower, snowshovel – Check it out. 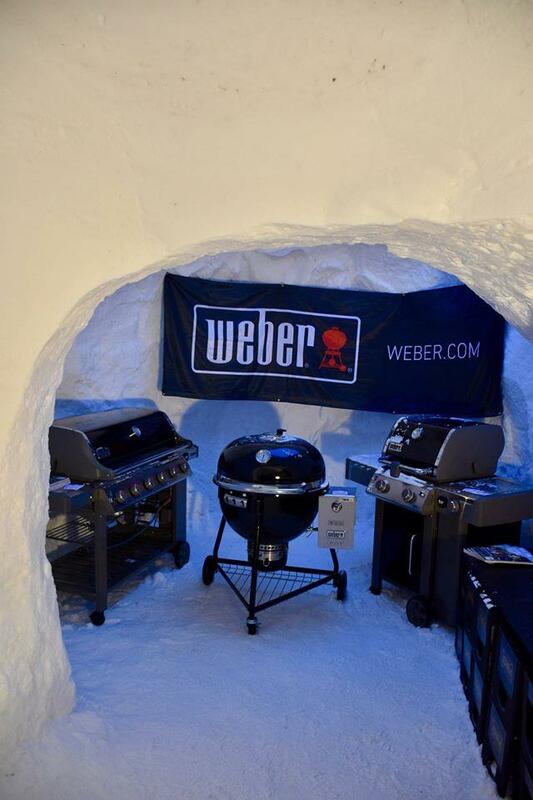 Weber presented the new generation of the gas grill Genesis II and the Summit Charcoal in the igloo to the italian journalists. 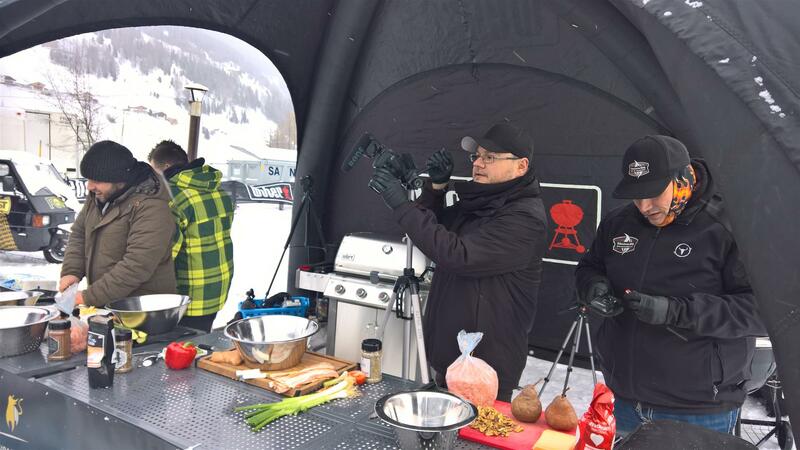 The Youtube-Blogger Jörn, Daniel, Christian and Martin started with the Live Cooking Shows on the grills. We gave them mystery baskets, so they had to be creative to cook something for the audience. Thank you for being with us! The next highlight was Snowlicious. 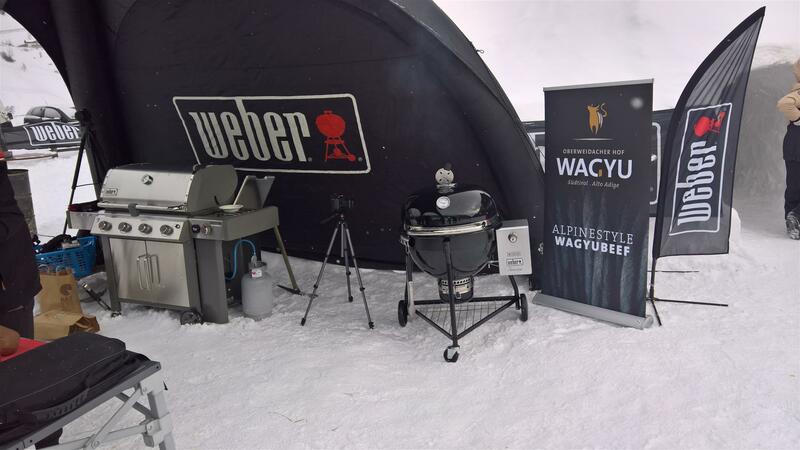 A professional kitchen installed on a PRINOTH snow groomer with the goal of offering delicious food on slopes, in an itinerant way. Andrea Campi is the brain behind this idea and the chef on Snowlicious. We prepared the Philadelphia Cheese Steak and the combo-plate in the kitchen. The Combo-Plate contained the 4 meats from the contest – Chicken, Ribs, Pork und Brisket. Our friends from Jubatti prepared some arrosticini (tipical dish – basically sheep-skewers) It smells like BBQ in the whole valley. -17°C on Sunday morning. Brrrrr…. 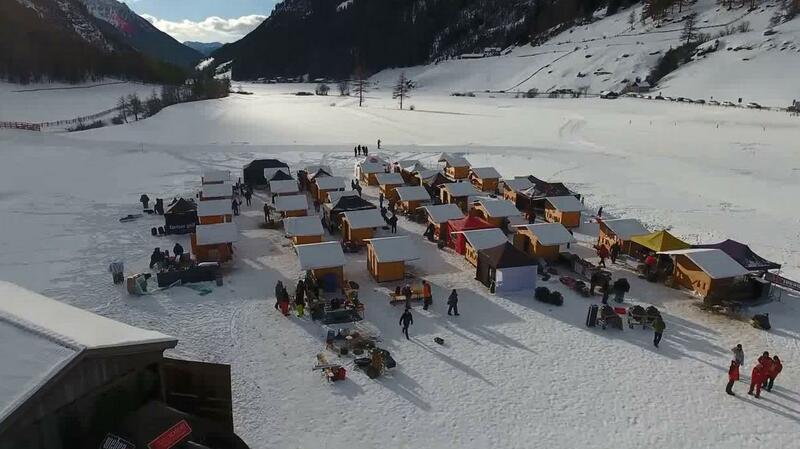 But the teams loved the gulash soup from Pichlerhof, coffee from Nespresso and tea – for free during the night. The judges registered at 9am and we was happy to have enough judges and some of them helped as volunteers in the turn-in area. It was as hard for judges as for teams, reps and organizers. At 11am we served the dishes from Jeroen Hazenbroeck’s new Smoker. Awesome! Jubatti-BBQ-Team started again with the arrosticini and the Youtuber get some new mystery baskets. Culinaric highlights for the audience. Teams started preparing for the first turn in. Yes, we did it again: Mystery Box. This year with: A typical South Tyrol Sausage from Metzgerei Hannes Mair, cabbage, “black kale” and Nespresso-coffee. 20 Teams cooked it and Royaal BBQ from the Netherlands won this category. At 4pm we started with the award ceremony. The crowd get close to Snowlicious, which transformed into a stage. Last but not least – Thank you again to all of our Sponsoren ! Without you, no W.E.S.T. !